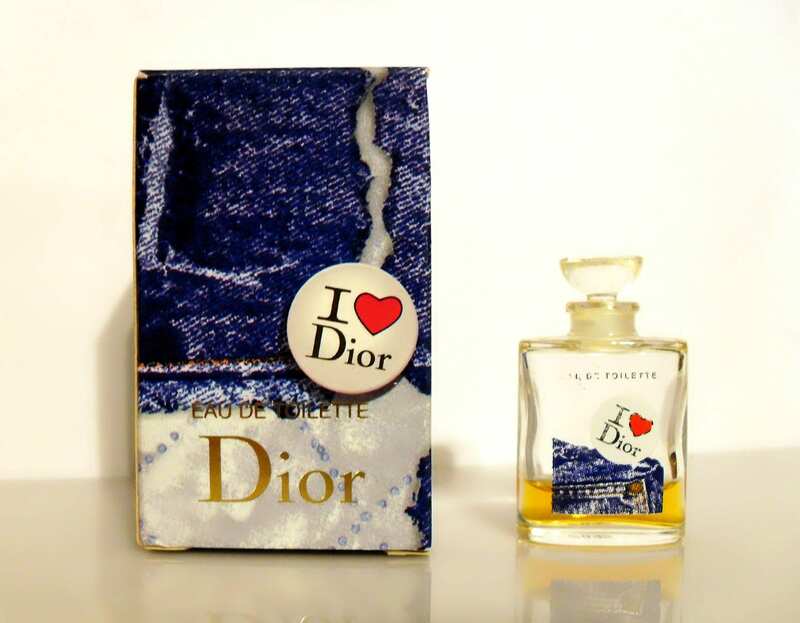 Vintage I Love Dior by Christian Dior 0.2 oz Eau de Toilette Mini Miniature Perfume and Box. The bottle is about 15% full - please see photo for the actual fill line. There is wear to the writing on the front of the bottle. Launched in 2002. It is classified as a fruity floral fragrance for women.